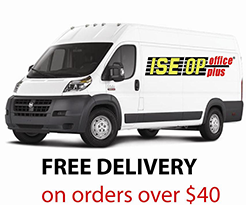 ISE offers free delivery on all "In Stock" supply orders over $40 within the Tri-state area. 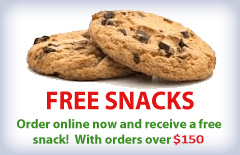 Orders not totaling $40 will incur a $6 delivery charge. Items such as furniture, heavy items (70 lbs ), non-UPSable items, special order or custom items, and deliveries involving stairs (carry up) will incur an additional delivery charge. We will quote any additional freight, setup or installation charges for these items when the order is placed.